Finally, a product that drunks and hoarders can both enjoy. 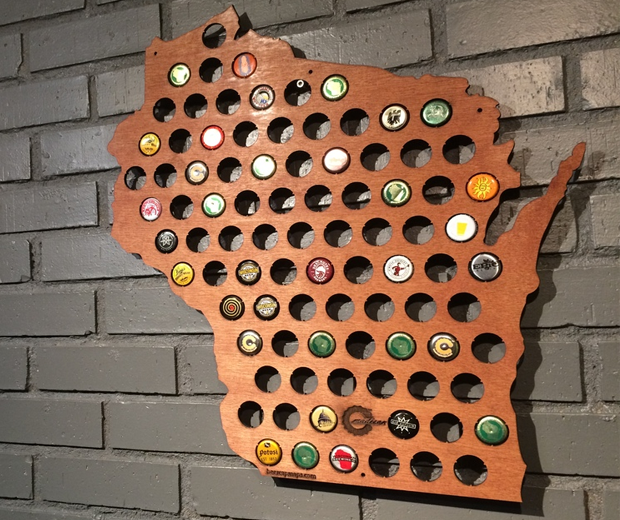 Introducing the Beer Cap Map. 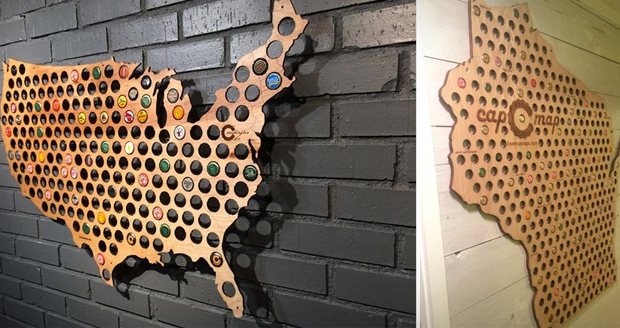 If you have a bottlecap habit worse than the Tasmanian Devil’s then maybe you’d enjoy pushing them into tiny holes on a map of your country. 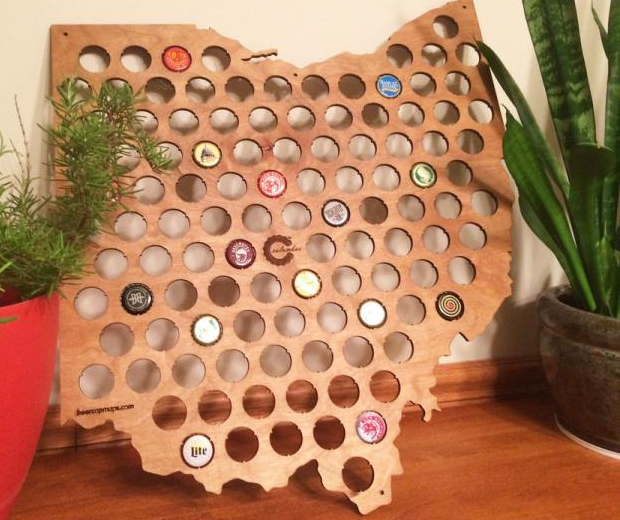 Each map is made from 5mm plywood and they work with most bottle caps. Available in USA, UK, Canada and one or two other countries plus all the American states. It isn’t available in the shape of Saudi Arabia, a dry country, even though that would be funny.